Baxi Boiler is founded in 1866 by East Midland-based iron molder Richard Baxendale with the help of his business partner Joseph Heald. The company is now part of the giant company BDR Thermea, which also owns leading European boiler brands Potterton and Main. [xyz-ihs snippet=”336×280″]150 years later, Baxi has remained to be one of Europe’s most trusted boiler brands alongside other manufacturing giants Worcester and Vaillant. 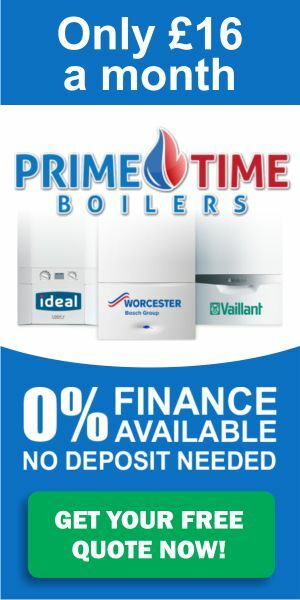 Among Baxi’s best-selling combi boiler models are EcoBlue, Platinum HE A, Duo-tec GA and Neta-tec GA. Aside from these boilers, Baxi also manufactures a heat-only boiler range called Solo, a back boiler named Bermuda, and a compact system boiler called Megflo. Details about each baxi boiler mentioned here can be found in Baxi’s website. Based on a survey conducted by “Which?” that has been participated by more than 150 registered boiler engineers, baxi boilers have been consistently named by majority of the participants are one of the top three boiler brands in the UK. This annual survey aims to rank all boiler brands approved for installation in the country in terms of efficiency, reliability and overall customer satisfaction. Baxi boilers cost anywhere from £700 to £1200; add £1500 to £1600 for the cost of installing the boiler at your home, and you will get the total amount of money you’ll be spending if you choose Baxi. The cost of the boiler itself will greatly depend on the model you are buying, as well as its efficiency and capacity ratings. On the other hand, the cost of installation will vary depending on the complexity of the work that needs to be done in order to properly install the boiler at your home or establishment. Most of the boilers from Baxi are bundled with at least a two-year warranty, but some models such as Baxi Platinum, can have warranties reaching up to ten years. Upon purchase, a warranty card has to be filled-out either electronically and manually in order to activate the warranty. Baxi products can also come with breakdown plans, also known as extended warranties, for a minimal additional premium. These breakdown plans would take effect once the standard warranty included in the purchase has expired, and they are usually sold at a relatively lower price when bought together with the boiler. Both the warranty and the extended warranty can cover various boiler servicing and repair needs. In addition, Baxi also has a strong after-sales technical support team that their customers can reach out to anytime and anywhere. The team consists of some 200 registered boiler engineers who will gladly help out any Baxi customer for whatever questions or issues that they have with the Baxi boiler they have bought.